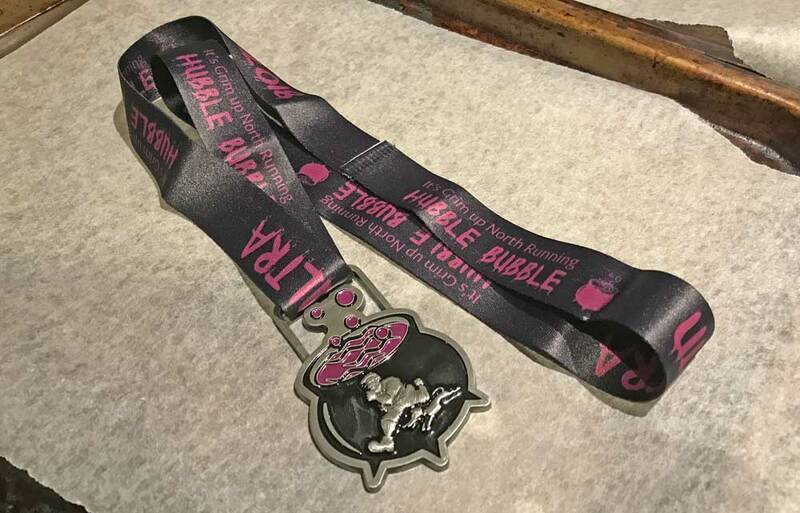 Last Sunday I completed the Hubble Hubble ultramarathon. I came 5th overall with a time of 5:18:11. It turns out that if you want to place in the top ten, the easiest way is to enter an event with only 11 participants. 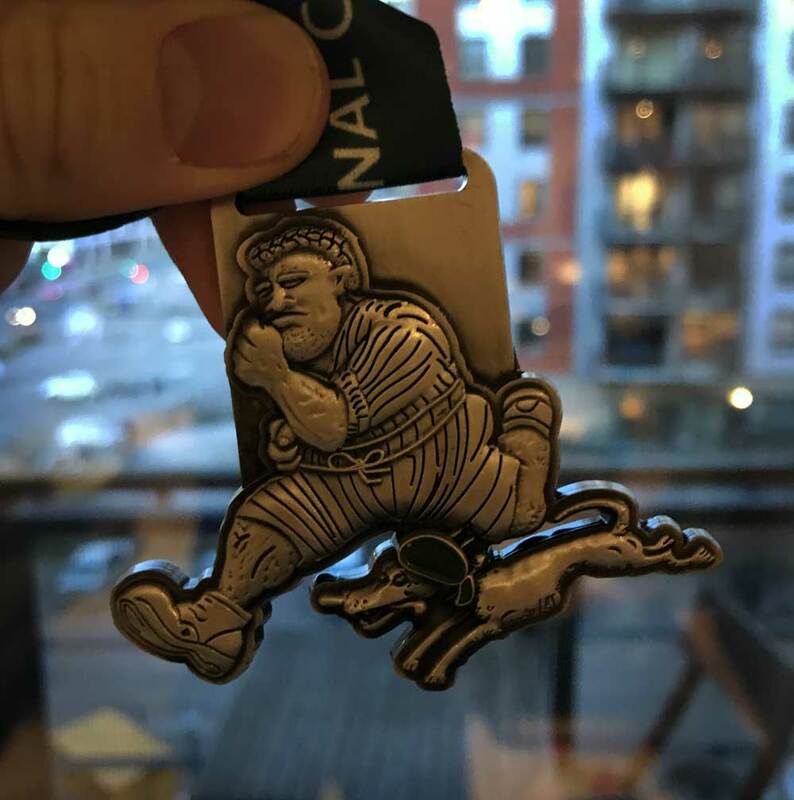 Two weeks ago I ran the Yorkshire Marathon. 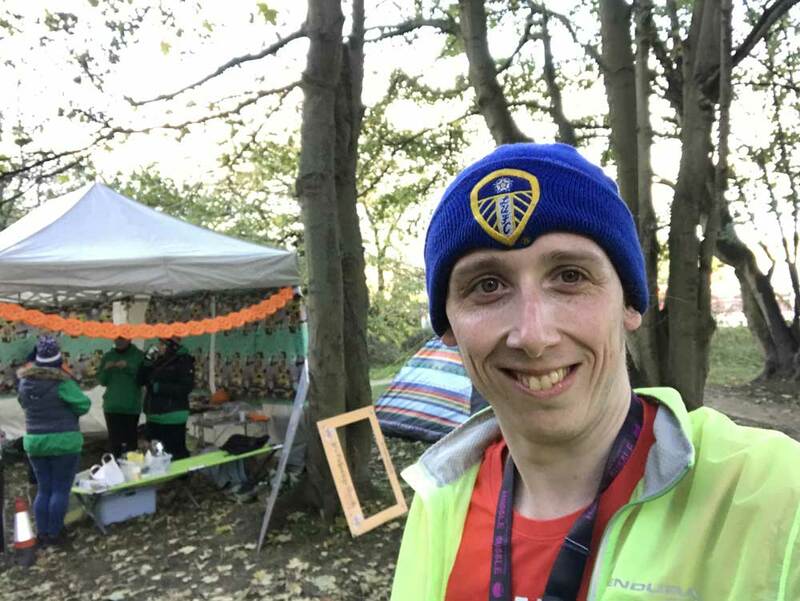 Why run an ultra two weeks later? Sheer laziness. Training for a marathon is a big undertaking: even coming off the triathlon season I had to spend a few months building up the distance. It seemed like a lot of effort to do that twice. On the other hand, if I stacked them two weeks apart, one big training block beforehand would allow me to call myself both a marathon and an ultramarathon runner without ever having to run again. Besides which, it was my stomping ground. 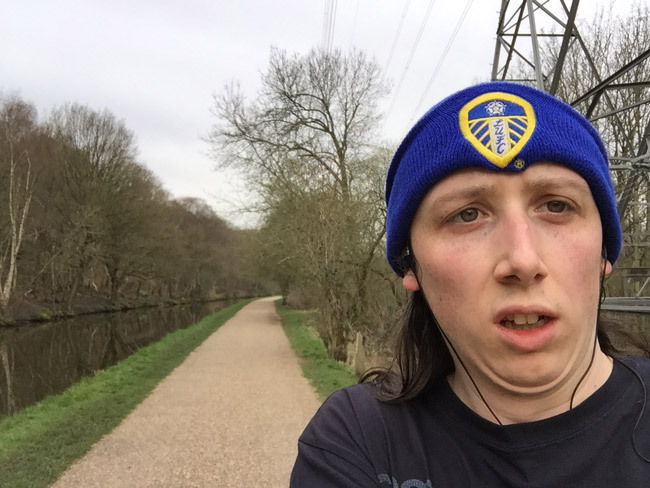 The run starts in Kirkstall and is exclusively based on the towpath. You run down into the city centre, out to Saltire, back to the city centre and finally back to Kirkstall. A total of 52.5 kilometres, which makes it a mere ten kilometres longer than a marathon. Easy, right? The first 30 kilometres passed without incident. I felt good all the way to Saltaire. But, as I headed back, I began to feel the strain. By 35 kilometres in I could keep running no more and began to allow myself short walks between running segments which carried on for the rest of the race. Luckily, it didn’t affect my pace too much and I continued to do around 6:15 per kilometre. I was very relieved to pass back through Kirkstall at the 43-kilometre point where I was able to pick up my second bidon, complete with a set of caffeine gels. The weather was reasonably kind. It was cold, a little under ten degrees, but that is a good temperature for running, and we only experienced a little bit of rain. Nothing compared to the Yorkshire Marathon. The winner, Robert Eagles, was 40 minutes ahead of me at 4:37:32. I was eight minutes behind the guy in fourth place and 40 minutes ahead of the guy that finished behind me. All participants finished in under seven hours. 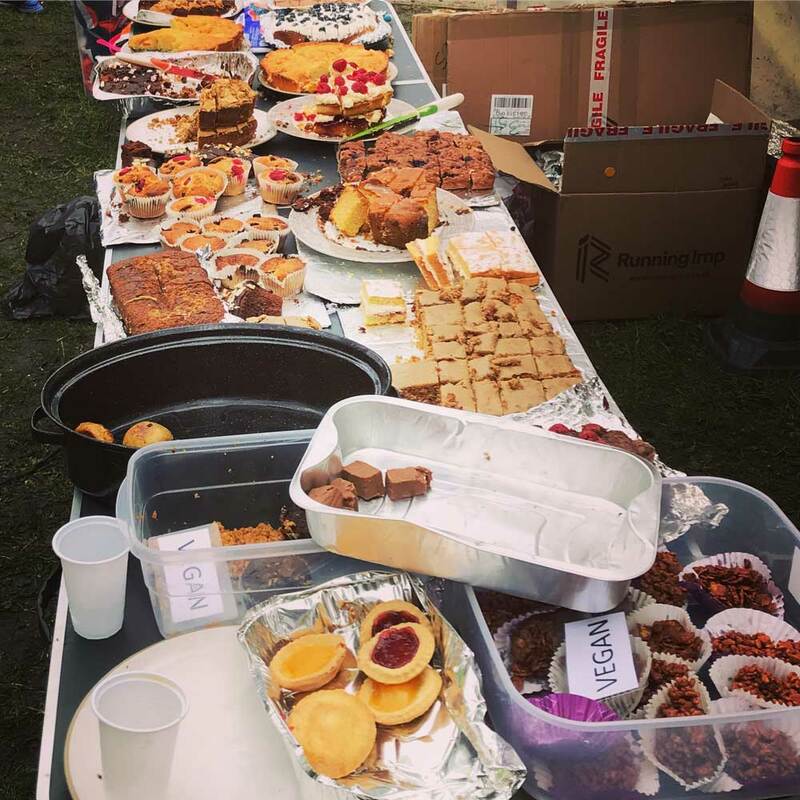 One of the highlights of It’s Grim Up North Running events is the amazing selection of homemade cakes. 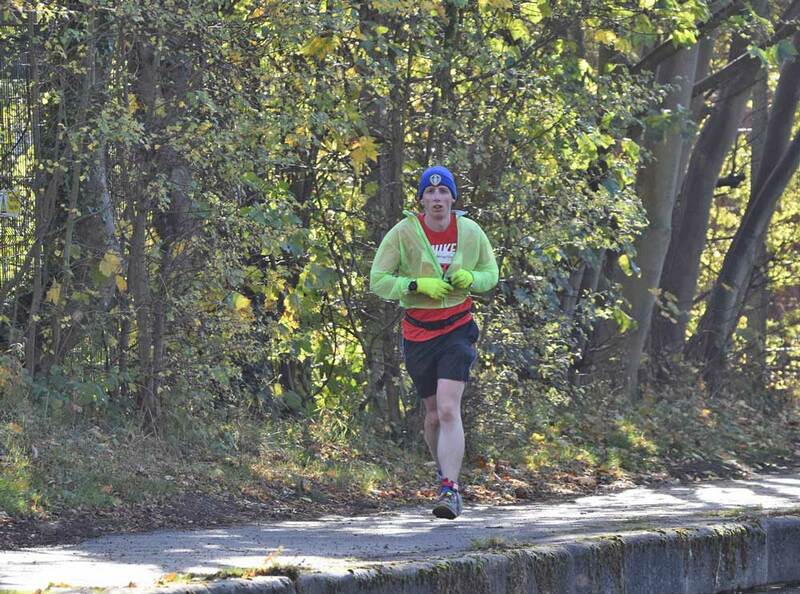 Unfortunately, by the time I finished the runners doing the shorter distances had almost cleaned them out. 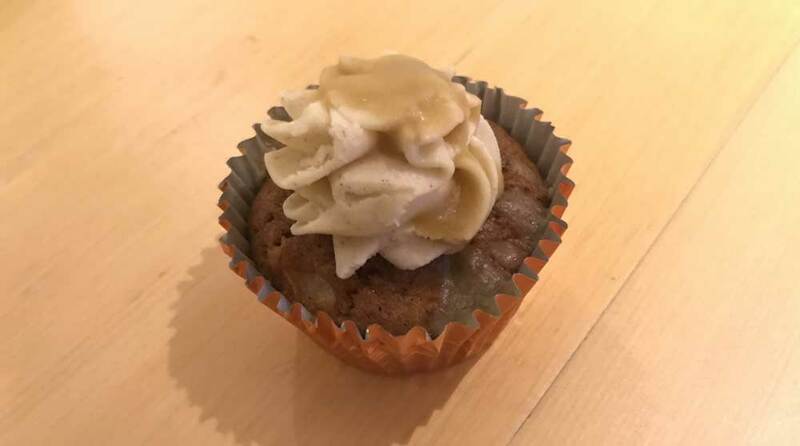 But I did come away with a Halloween-themed cupcake. Recovery was a mixed bag. I didn’t have the muscle fatigue I had after the marathon where it hurt to get up and down. I was a little stiff after not moving for a while but otherwise fine. However, the bottom of my foot really hurt and gave me quite a limp. Not sure which one was worse but neither have been terrible. 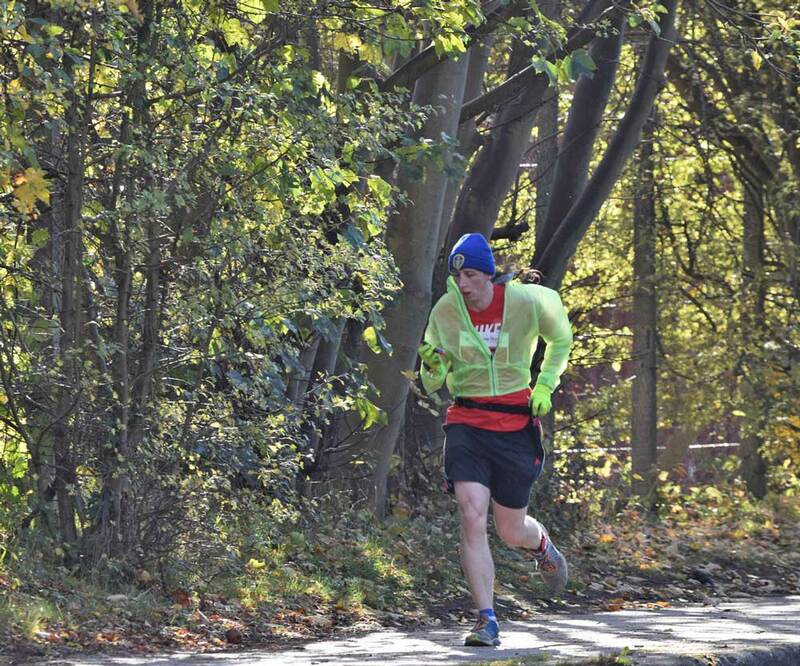 Last month, I went out for a 24-kilometre run. Specifically, I went out for a 24.1-kilometre run, which meant I would set a new distance record by 0.1 of a kilometre. It was the day the rains came after the long heatwave. I set off at 7:30am and given it was so early on a Saturday morning and raining heavily, you might think I would have the canal towpath to myself. But other endurance athletes are, of course, as crazy as I am. The rain continued, including two brief but torrential downpours that left me soaked to the skin. Thankfully, I had lubed in the correct places to stop any chaffing and despite my ankles being a bit sore from driving in Finland, I felt fine in all respects after the run. 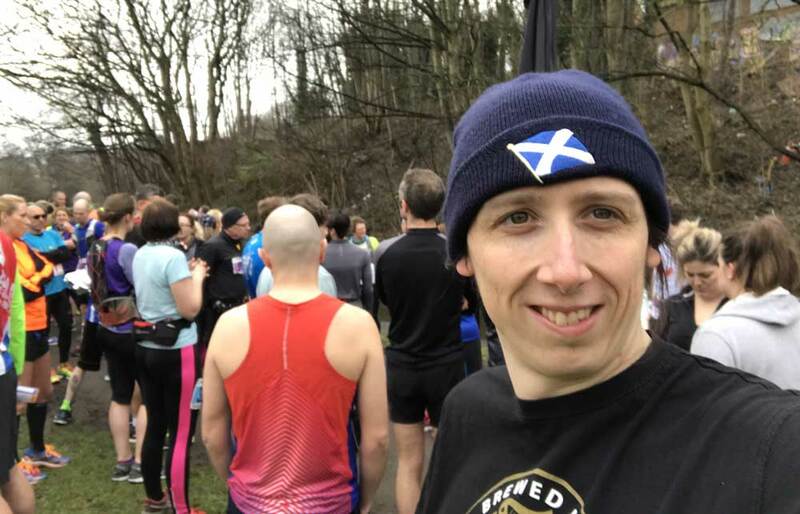 My 162nd Parkrun featured in the middle of it. 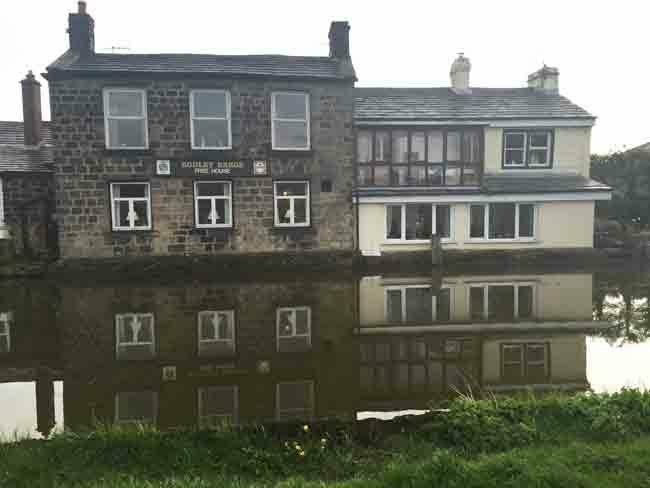 The levels in the Leeds Liverpool canal were shockingly low. You can see some of it from the photo, but it’s not the clearest example. At some points, it was a good half a metre below the usual level. I could clearly see the bottom for long stretches. No bodies, thank god. I did see several hundred tyres, though. They were every metre for a good hundred-metres. There were so many in there, I wondered whether they were put in there intentionally because it must have been a massive fly-tipping exercise to get them all in. Last week, finding myself with a bonus day off, I set off up the canal to see if I could set a new distance record. The furthest I have been is just past the Hollybush Conservation Centre. Hollybush makes a nice 5km landmark, and I’ve been about half a kilometre past this. Unfortunately, my new effort got off to a rocky start. The police had closed one of the junctions of the canal: the one by Kirkstall Viaduct. 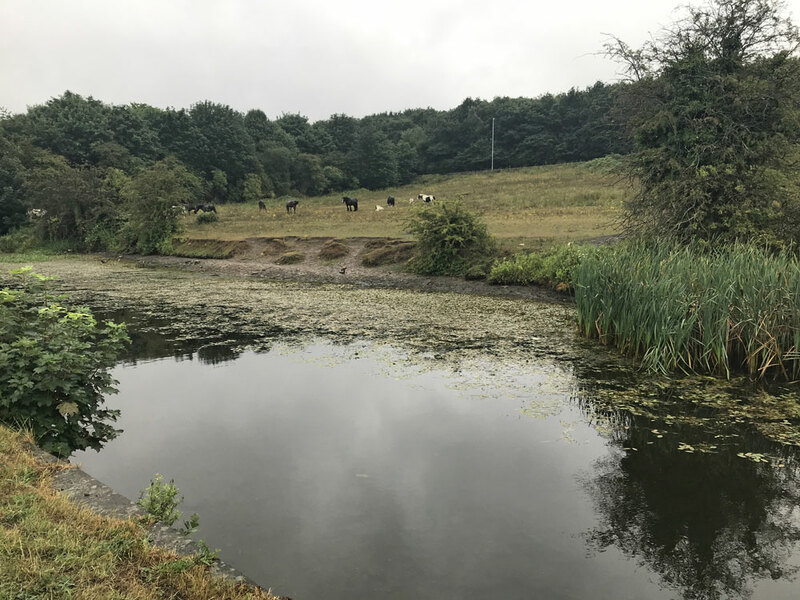 This was the only access point for quite a while, so I had to go all the way back to the Armley Gyratory, up Kirkstall Road, and then back down on to the towath at Armley Mills, just to progress 30 metres down the canal. Eventually I did progress on. It turns out that there isn’t much to see. There is some flat countryside, the train line and river continue to intertwine, and there is a few more locks. That is pretty much it. Peaceful though. I turned round after that and went home. Then spent my hard-earned calories on Easter Eggs.